I have to say, I am guilty of over committing myself. This is evident in several areas of my life, one being scheduling (I am 100% convinced I can do it all) and the other with planning events/posts/parties (I want everything to be perfect). I do take pride in this most of the time, but when it comes to the little things and my constant need of perfection, I can get stressed out easily. Lately I have tried to remind myself that it is not always about how grand, or pretty something can be, but more about keeping things simple. I try to remember what the main purpose of the event is and make sure that is taken care of to the best of my ability. The little things that surround it can help, but they are not always necessary. Does it matter if my best friend's birthday party has all her favorite food, décor, a photo booth and gifts? No, she wants to be surrounded by the people she loves (and it could probably be at a Chick-fil-a). Will people look down on me if I am not at every event, every work out class, or every happy hour? No, because they are probably glad that I am at home resting and spending time with my family. Because that is what really matters. I need to remember that. It is not necessarily about being grand, but about keeping it simple and taking advantage of those little moments. It is no secret that I love a good tee shirt. This one from Cara Loren's collection is on the top of my list now. 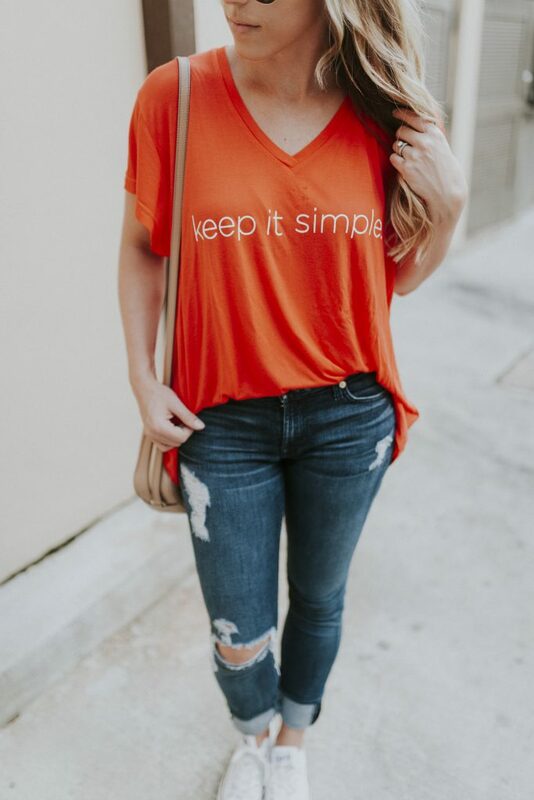 It is so soft and comfortable, and I love the reminder to "Keep it Simple." 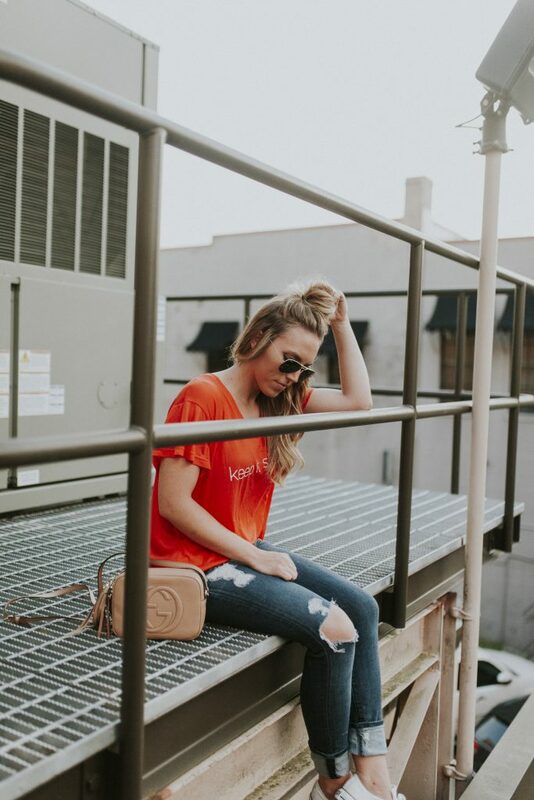 Head over to their website now to see more of these great tees!